In a large bowl, mix the whipped topping, sour cream, and pudding mix until blended. Fold in pineapple. 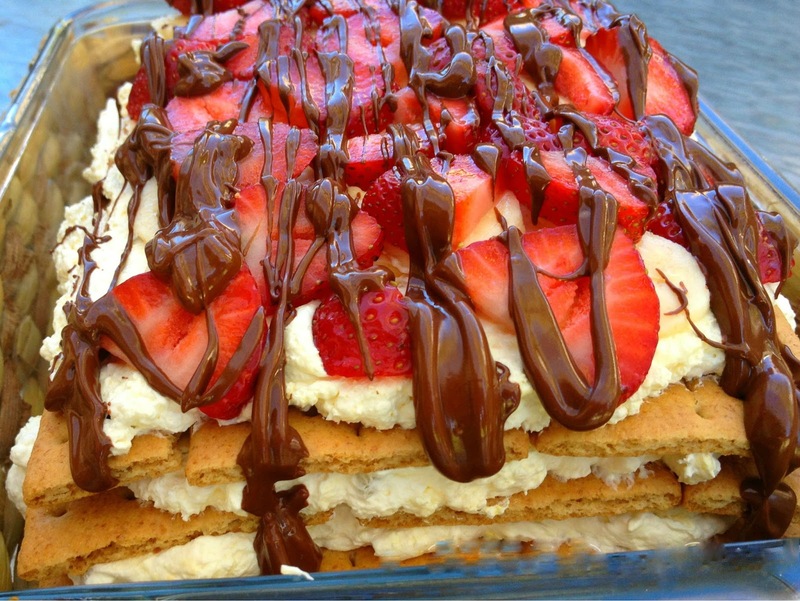 Line the bottom of a 9x13 baking dish (or a large platter) with graham crackers. Spread 1/3 of the pudding mixture over the crackers and top with banana slices. Repeat layers, ending with the pudding mixture. Cover and refrigerate for at least 8 hours or overnight, which is best. Graham crackers should be soft. 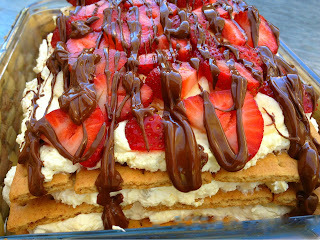 Before serving, top with additional bananas and strawberries and drizzle with chocolate syrup.